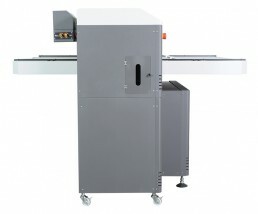 The M6 Conveyor DTG Printer is designed for multiple and industrial DTG garment printing and fashion panel decoration. 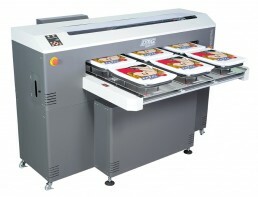 The M6 Conveyor is the number one choice of fashion houses and contract decorators because of the ease of use and flexibility that this flatbed digital printer delivers. There’s no need for a roll to roll sticky belt which means a massive reduction in equipment and manpower costs. The M6 Conveyor supports common panel sizes up to 1100mm x 980mm. Fabrics and multiple finished garments can be decorated at just under 100 square feet per hour with incredibly fine detail thanks to the the dual CMYK piezo print head. There’s no banding even at lower resolutions as the M6 Conveyor retains the iQ Interweave technology that has made DTG printers the first choice for garment printers globally. Pressure release dampers ensure that ink is delivered to the print head nozzle plate for uninterrupted printing and an ink mist extraction fan also spans the entire bed ensuring longer print runs without maintenance. The M6 Conveyor DTG Printer is an industrial powerhouse in production that offers flexibility for a wider range of textiles, finished garments or fashion panel prints. The possibilities are endless, read more about applications! If you would like more information on the various options when it comes to DTG garment printing please chat with us online or give us a call or email – we’re always happy to help. Enjoy the Lowest Cost Per Print. A low cost per print without compromising quality is our mantra. At DTG Europe we select the right ink for our clients to provide the best performance and best cost per print at the same time. We can also match quantity to cost per print requirements that can help customers win those all important large contracts. Just contact us for more information about how we can help you – your success is ours! DTG One Pass Fast. This one-of-a-kind system means that a white base and colour can be printed in just one pass. Turnaround and speed is increased and you will gain much greater control over the colours required to create original and vibrant quality prints onto many fabrics. 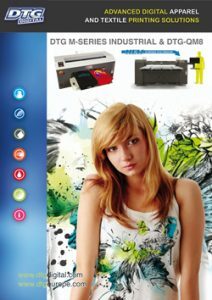 DTG one fast pass offers 50% faster prints with amazing colours and is all supported with a unique easy to use RIP. At DTG Europe we have over 20 years experience in textiles and choosing the correct ink is key to your application. We supply two inks that have been specially chosen by us; our original genuine DTG Tex DP range and our specially developed new formula DTG P30i Inks that increase your sales potential and can reduce your per-garment costs by up to 25%. Choosing quality printer hardware is only half the equation, choosing a simple to use, colour managed RIP software will make your prints come to life. At DTG Europe we recommend two products that we really love. If colour and knock out graphics are important to you and your customers, then the new iQ RIP for the M-Series will leave you breathless. Or maybe you need DTG Print Pro – the original direct to garment software specifically designed to automate the creation of white ink underbase and high-lights, preset templates and print queue management. For more info just ask us. WIMS. 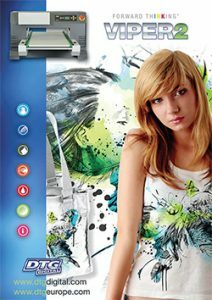 Our White Ink Management System offers amazing support for white ink in DTG applications. Head clogging and maintenance downtime is reduced and the WIMS system re-circulates ink via a pressurized peristaltic pump system coupled with pressure release filters. Your white ink is ready to print when you are! Maintenance and downtime has been slashed and the M-Series boast the best all-round white ink print systems in the world today. Contact us for a demo and find out why. Multiple platens that offer scalable production! Our M-series machines offer TexLoc™ platen options which means you can scale your machine and expand as you need. They are available in everything from children’s sizes through to larger wide prints. 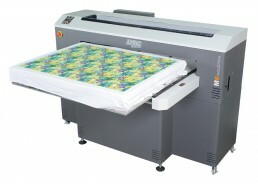 The standard M-Series bed is designed for two standard t-shirts with a unique bridge to allow extra wide prints to a maximum of 610 x 450mm (24″ x 17.7″). Larger image area options can also be applied to the M4 and M6 with the unique platen drive swap out mechanism for multiple production that can cater for up to 8 shirts. If you need to print full length jeans, trousers, towels and more it is all possible. Image areas can be as large as 1100 x 2000mm (43″ x 78″) – you can configure your M-series to your market or grow into new markets -just use your imagination and ask us if you would like more info on the amazing capabilities! ACPC (Active Print head Collision Protection). Our precision culminated light beam detection sensors give peace of mind. Anything getting in the way of the print path is automatically detected, and the active drive system will drop the pallet while printing, ensuring that head strikes are drastically reduced while still maintaining your prints. Green is the colour. We make a concerted effort to ensure that we have minimum impact on the environment with everything we do, and this extends to our supply chain too. Science is awesome. The all new iQ Interweave technology is a major fundamental development in support of textile decoration. This new science gives greater flexibility and quality printing to a huge variety of garments and prints more ink when required to the places that require it so quality is maintained! IQ Interweave prints in a wave pattern, as opposed staggered lines. This method is truly optimal and we’re delighted to offer it to you, our customer. Contact us for a demo today and see the difference. Positive Damper Feed Pressure. Textile inks have a higher viscosity and surface tension compared to inkjet printing on paper and gravity fed ink systems pose many problems. Enter PDFP – Consistent ink delivery means less clogging and larger and longer prints are available without the stress for ink replenishment to the nozzle plate. The DTG Europe range of products all use a pressurised damper on each individual colour with 1.2psi of constant pressure for better ink delivery. Quite simply you can enjoy consistent colour accuracy and better reliability. DTG Europe offers a world leading warranty and expert service packages. These are available through your local dealer. Please contact us for more information.